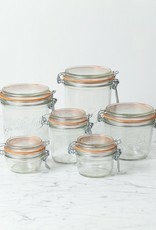 Made in the heart of France since the early 1930's, classic Le Parfait canning jars are a dream for kitchen and pantry. 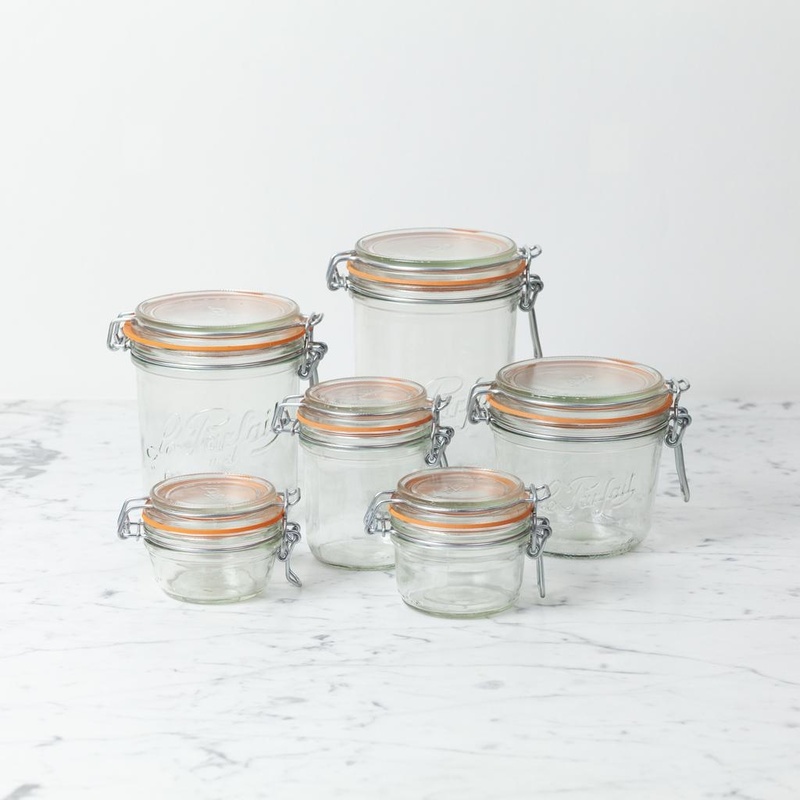 A larder full of these easy to stack, air tight jars isn't just beautiful it's practical. The rubber gasket keeps things fresh, keeps pests out, and lets you see exactly what you have. Store dry ingredients, keep leftovers fresh without plastic, ditch pantry-pest-prone packaging, or, use them for their original purpose and put up a batch of peach preserves or salt cured meyer lemons. 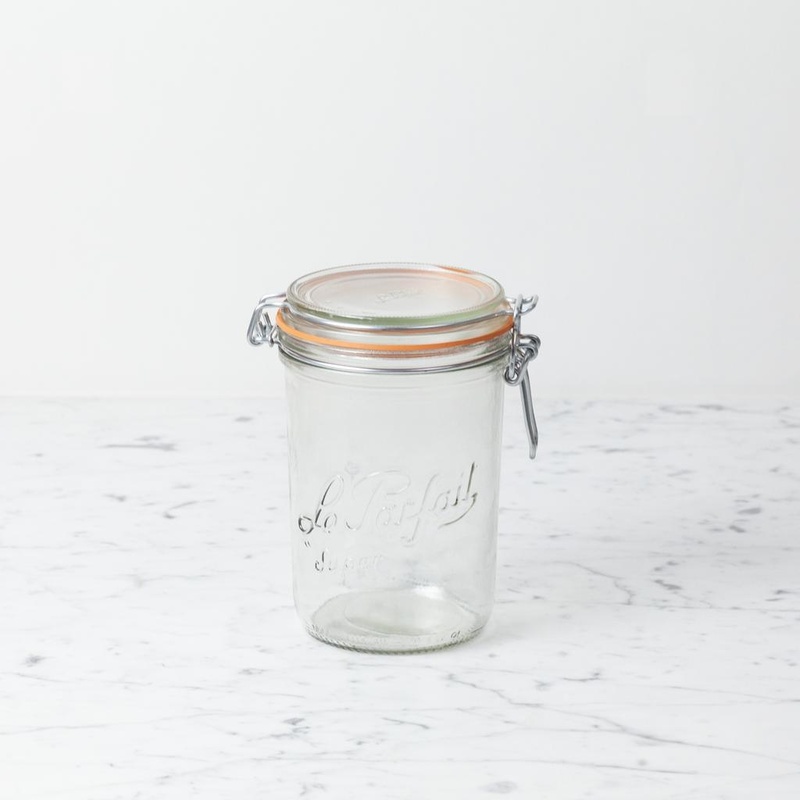 If you're going to be using the jars for canning, always sterilize the jars and rims to the correct temperature specifications. For storage etc. these can go in the dishwasher after use (remove the rubber gasket first, the hot temperatures can decrease its lifespan). 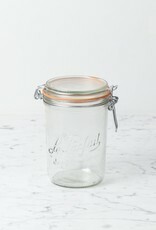 Metric/Standard Wizardry: 1000 Gram Jar ~ 1064ml ~ 36 oz ~ slightly larger than a quart sized mason jar, uses a 100mm rubber gasket, 5 1/4" tall.